Plot - A beautiful love story set during the Chinese Cultural Revolution about a young high school girl falls in love with a young guy on a trip to the countryside. 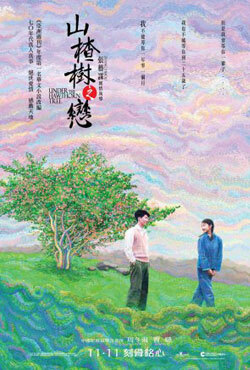 Jing Qiu is a pretty high school student who travels to countryside to learn more about the essence of Chinese culture during the height of Cultural Revolution. She meets a handsome guy named Lao San, a geology student. In spite of the difference in the economic background, they both fall in love with each other. However, fate has something else lined up for them. Awards & Nominations Won by "Under the Hawthorn Tree Movie"
Box Office Earning of "Under the Hawthorn Tree"